The Sweet Dreams Tussah Silk Comforter offers a reasonably priced, luxurious, lightweight, warm natural bedding alternative. Available in three sizes: twin, queen and king. In ancient Asian culture, Silk bedding was once the privilege of only the wealthy who prized silk for its superb insulating abilities. In modern times, silk has now become the preferred choice for sleeping comfort in many Asian and European countries where silk is the comforter of choice for three-season use. Now you too can enjoy the amazing benefits of natural silk bedding. With the current trend toward healthier, natural alternatives, our Sweet Dreams All-Natural Tussah Silk Comforters are the perfect choice for customers wanting to create a more healthy lifestyle. Our comforters offer a higher warmth to weight ratio than non-organic wool, cotton or down. Peace Silk - Our Sweet Dreams Silk Comforters are made in Germany and filled with 100% of the finest natural Tussah silk available. The Tussah Silk is also known as Peace Silk. Tussah silk is harvested from wild silkworms who eat mulberry leaves. Wild silks are harvested after the moths have left the cocoons, cutting the threads in the process so that there is not one long thread as with domesticated silkworms and the silk is gathered like cotton. This spun silk produces a fabric that is warmer, softer and stronger than processed silk from domesticated silkworms. This is a more humane way to harvest all-natural silk. All-Natural and Chemical Free - Haiku Designs is pleased to offer Healthy and Natural alternatives with our Sweet Dreams Silk Comforters. Instead of toxic chemicals and petroleum-based products in our comforters, we use all natural and organic materials such as Tussah Silk and Natural and Chemical Free Cotton. 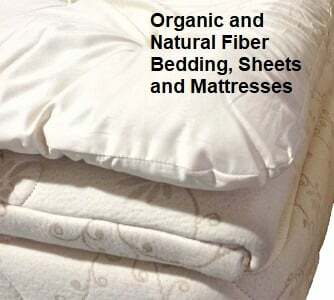 The result is a luxurious, comfortable, healthy, all-natural comforter designed for many years of enjoyment. The Tussah Silk fill is placed in a Oeko-Tex Certified Cotton shell, which will not run or snag as do synthetic covers. Our cover is manufactured free from dyes, perfumes or chlorines, for those wanting to choose a more healthy, natural lifestyle. With a 250 Thread Count, the chemical free cotton cover is strong, durable and provides excellent protection for the silk filling. Made in Germany - The 100% Oeko-Tex Certified cotton used in this comforter is processed and certified by the Oeko-Tex Institute in Germany. Oeko-Tex Standard 100 is an international testing and certification system for textiles, limiting the use of certain harmful chemicals and pesticides. Products that meet this standard are certified free of any chemicals in the materials and in the finished product. 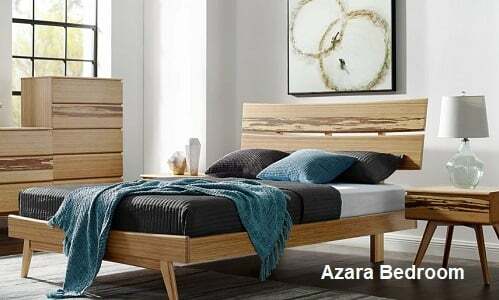 The manufacturing standards for quality, and the certification of no chemicals in the materials and in the finished products, are much higher in Germany and European countries. They far exceed those found in many other countries, especially China and other Asian countries, where no standard exists. * Keeps the body warm when it's cold and cool when it's hot. Ideal for Fall, Spring, Summer in all climates, and a good choice for year-round use in moderate climates. * The 100% Organic, chemical-free cotton cover wicks away any night time moisture during sleep, keeping the body comfortable. * Lightweight, so it provides excellent warmth without the heavy weight of synthetic materials or down. * Air circulates easily through the comforter, so the bedding is aways fresh and breathable. * Creates an allergen-free sleep environment, where dust mites, mold and mildrew cannot grow. * Naturally flame resistant, so no harsh chemicals are needed or added to the manufacturing process. Our Sweet Dreams Natural and Organic Comforters, Natural and Organic Mattress Toppers, Eco-Friendly Pillows, Organic Sheets, and other sleep products provide you with a better night's sleep so you start the day with more energy, better health, and a sense of well-being.